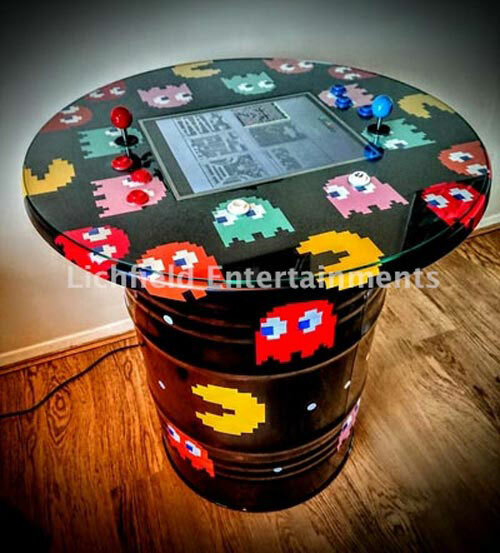 Our eye catching retro arcade table is perfect for all retro or eighties themed parties and events and is now available for hire across the Midlands area of the UK and further afield. The arcade table features sixty old school games from a time when you didn't need to master a games controller that has more buttons than you have fingers! You'll need an overall area of just 5ft long x 3ft wide overall - this includes room for players to stand either side of the table. If you have any queries, questions, or would like to hire the retro arcade table for your event please click here to enquire and we will do all we can to help.